This Place of Worship was founded in 1924, and we understand it is still open. 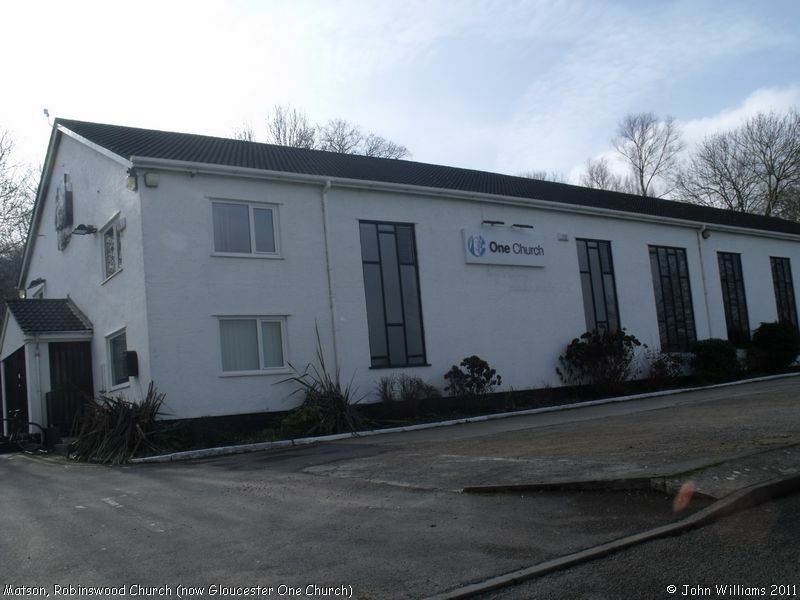 "One Church", formerly Robinswood, is built on the site of the old Gloucester Regiment Barracks. [Source: John Williams] The Church's website says its congregation was founded in 1924. Robinswood Church (now Gloucester One Church), Matson, Gloucester shown on a Google Map. Information last updated on 6 Dec 2010 at 12:11. 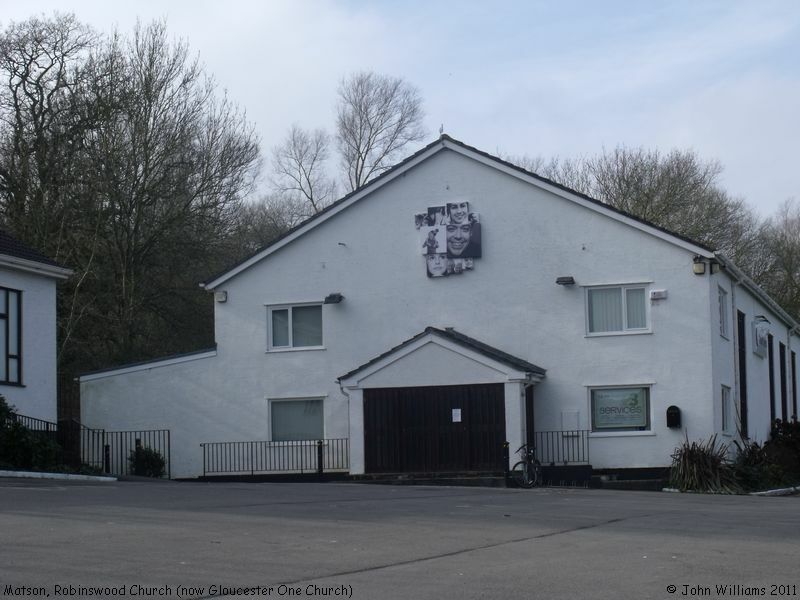 Please also remember that whilst the above account may suggest that Robinswood Church (now Gloucester One Church) remains open and accessible, this may not remain so. This Report was created 25 Mar 2019 - 08:18:09 GMT from information held in the Gloucestershire section of the Places of Worship Database. This was last updated on 7 Feb 2019 at 07:45.